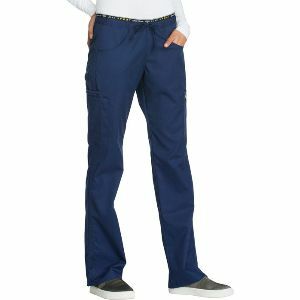 A Contemporary fit, mid rise, straight leg pant features a functional drawstring and logo elastic waistband. Also featured are tonal knit mesh strapping on the side seams, a mesh cell phone pocket, two front pockets, two cargo pockets (the left with a logo charm), back pocket, back leg seams and side vents. Inseam: 34"